Designed and manufactured in Europe, the heavy duty Mondeox Trekker hiking boot delivers outstanding comfort on and off the track. The Mondeox Trekker features a double-stitched waxed leather upper with a waterproof breathable membrane. 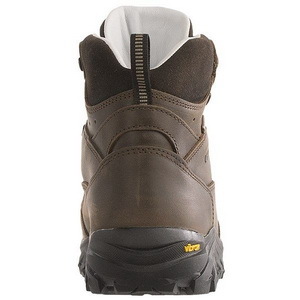 With a stiffened midsole, the Mondeox Trekker hiking boot offers firm support on rugged trails and long treks. For firm traction on the tracks, the grippy Vibram® Grivola outsole ensures sure footed confidence in every step of the trail..